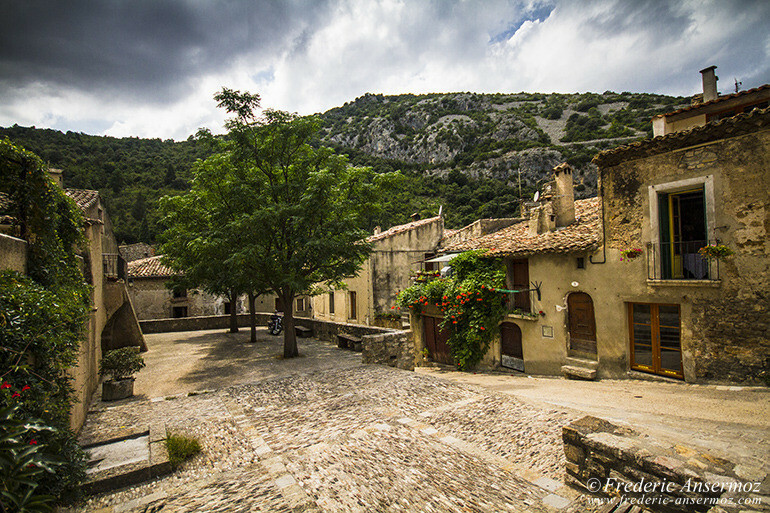 St Guilhem le Desert is a little village in the Hérault department of France. 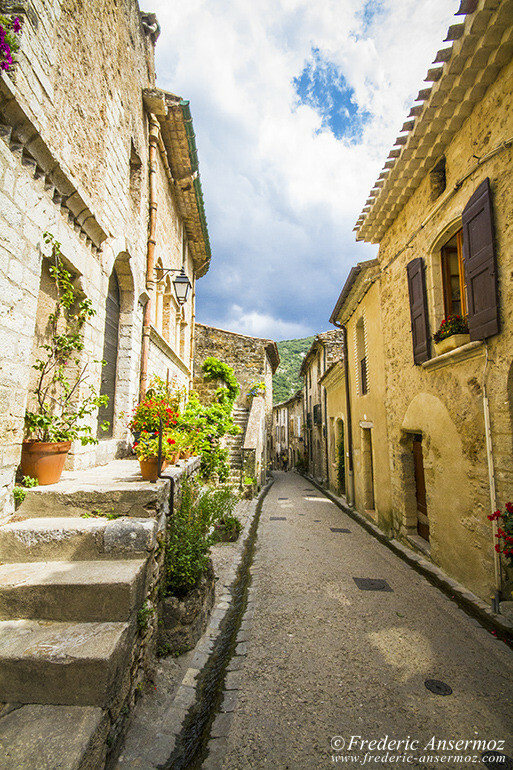 St Guilhem is classified among the most beautiful villages in France (Les plus beaux villages de France), and its inhabitants are called the Saute-rocs or even Saute-rochers (rocks leapers, rocks jumpers). 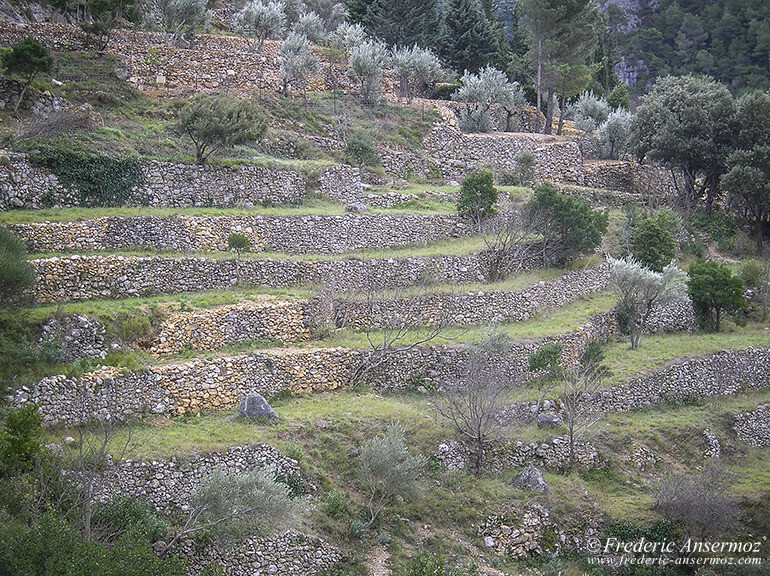 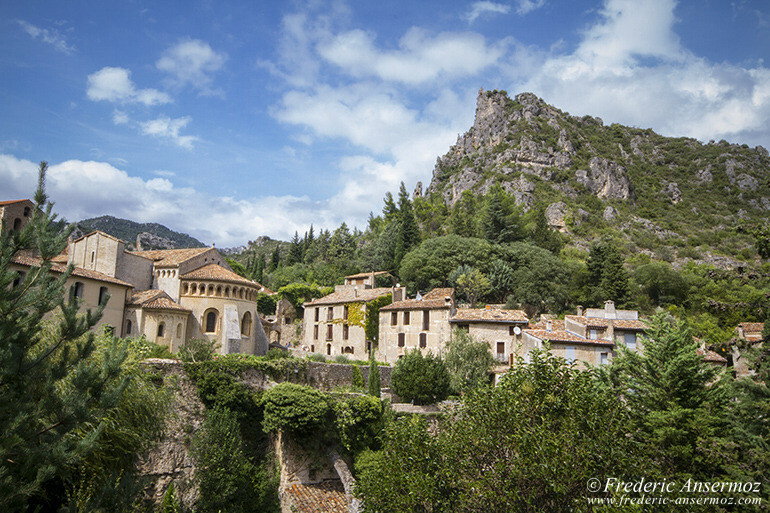 The history of Saint Guilhem le Desert goes back in the year 804. 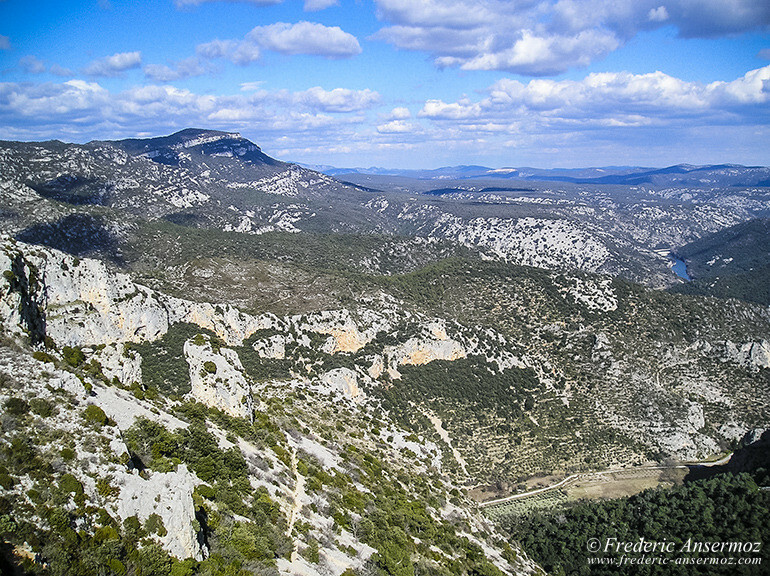 Guillaume (Guilhèm in the Occitan language), Count of Toulouse and Duke of Aquitaine, describes the region as a ‘desert’, because there is almost no one living there. 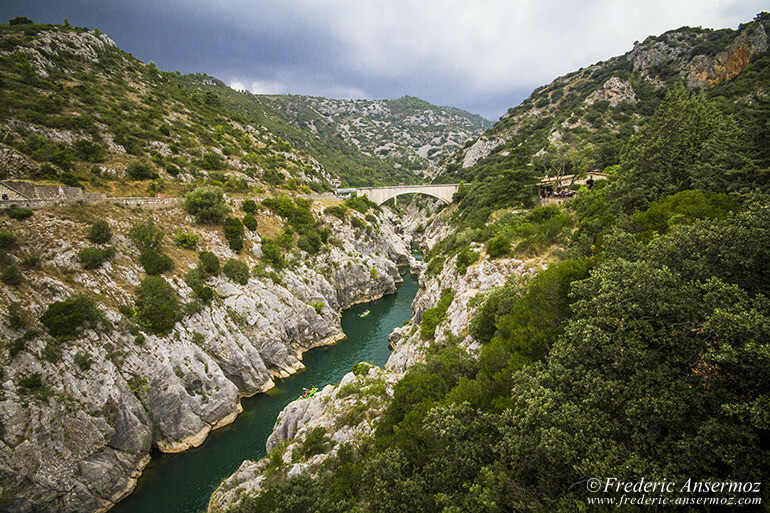 After crossing the gorges of Herault river, Guilhem found a spiritual haven to revitalize himself. 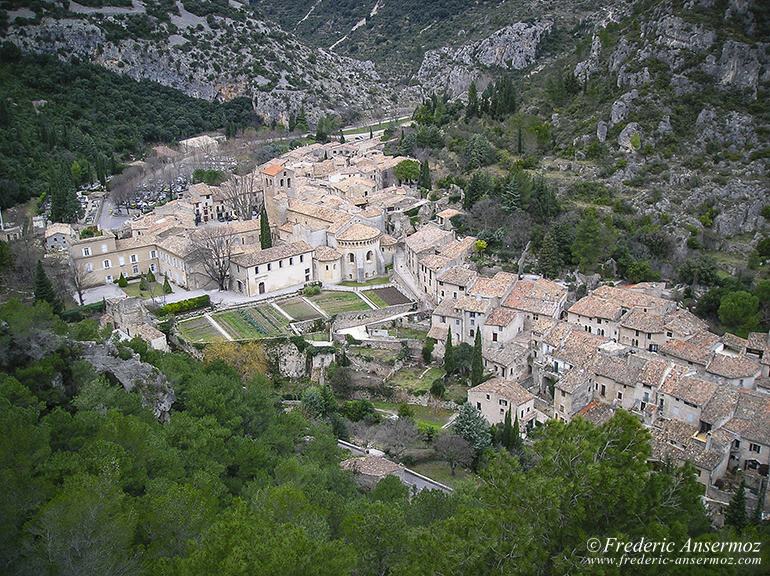 It’s in the valley of Gellone, that he founded the monastery of Saint-Sauveur of Gellone, which would become 200 years later, after the canonization of Guilhem, the abbey of Saint-Guilhem, in 1066. 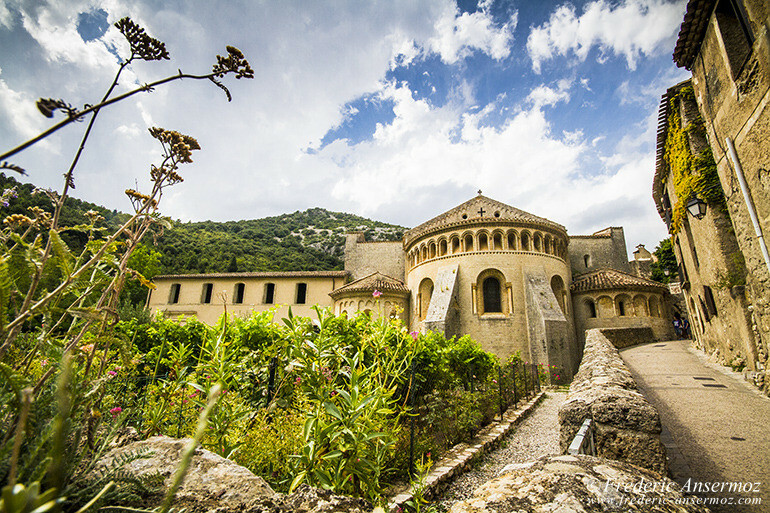 The Abbey of Gellone was declared World Heritage by UNESCO, under the Ways of Saint James (Route of Santiago de Compostela), in France, in 1998. 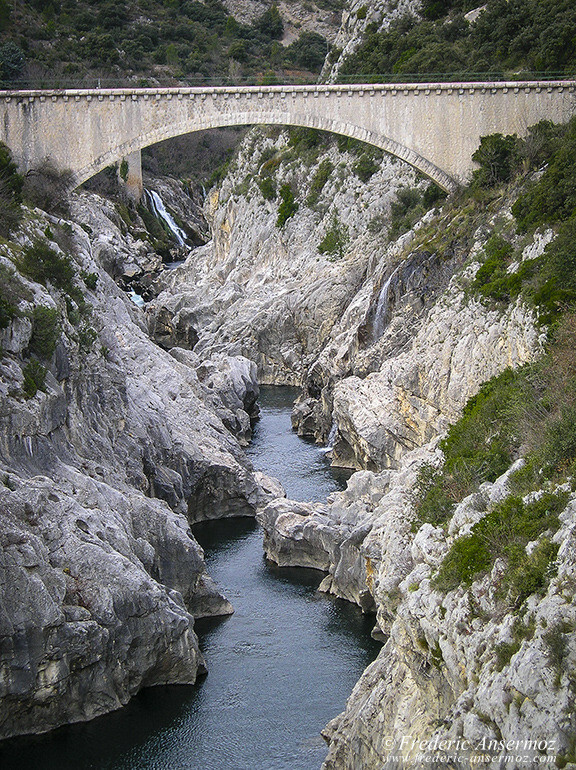 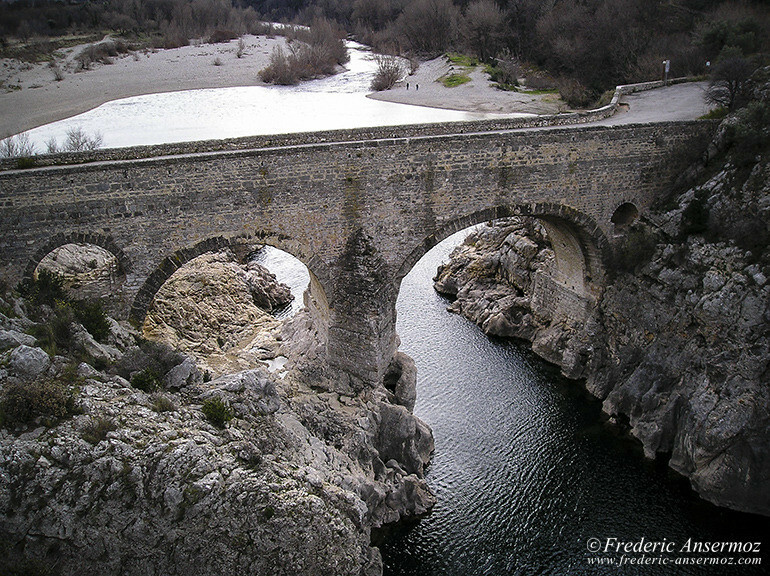 Not far from St Guilhem le Desert, and also registered as such, is the Devil’s Bridge (year 873), which spans the river Herault. 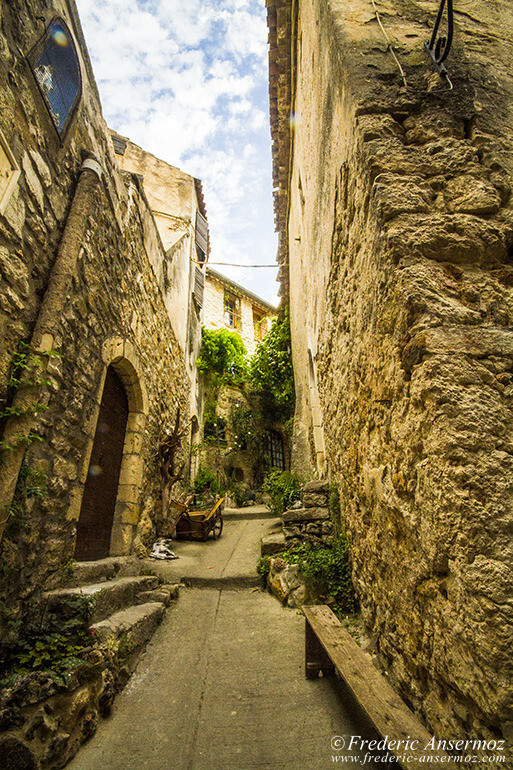 The medieval village of St Guilhem le Desert, in the Hérault department, in South of France, is built around the Verdus Creek and consists of narrow streets. 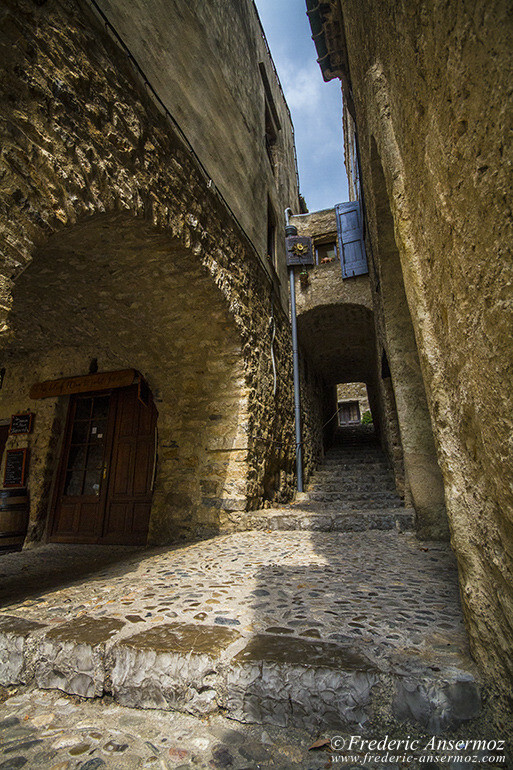 In the middle of the town square, stands a huge plane tree, dating back to 1855. 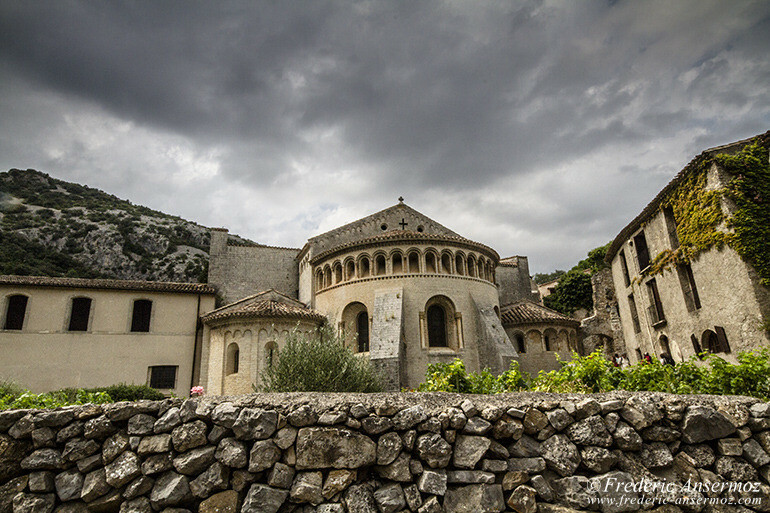 From the eleventh century, began the design and construction of one of the most admirable testimony of the first Languedoc Romanesque art, the monastery of St Guilhem .. 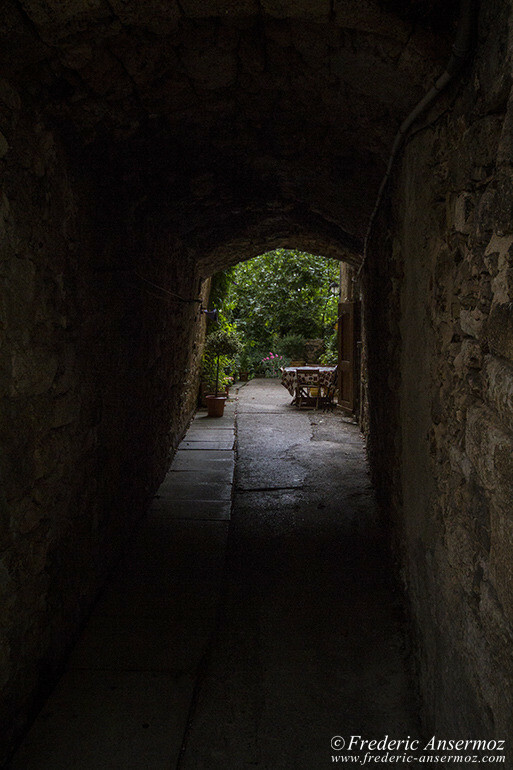 The conflicts during the history of France, didn’t spare the monastery, and the revolution will end the already weakened monastic life. 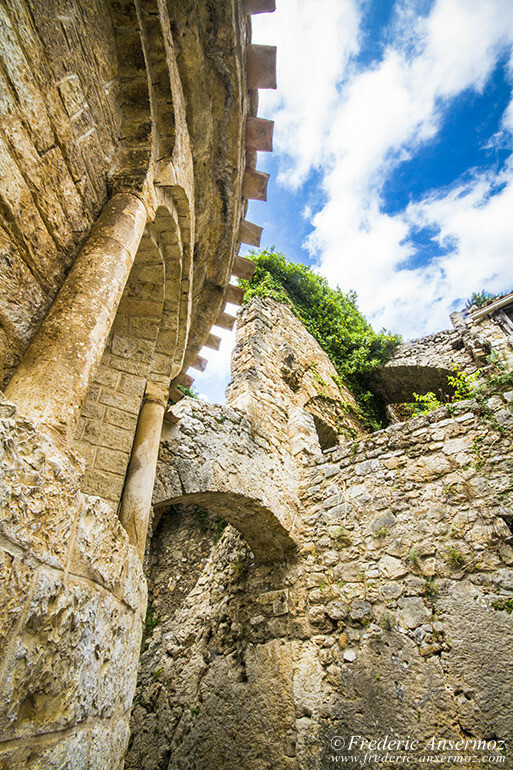 In 1791, the abbey, considered as public property is offered for sale as quarry stones. 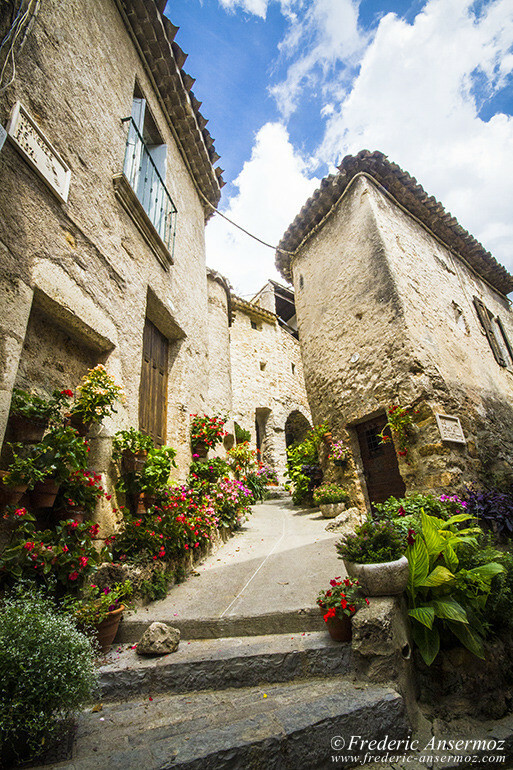 Two masons made the acquisition and used copiously the structure of the religious monument, in order to collect the stones already cut, and also sell the sacred sculptures. 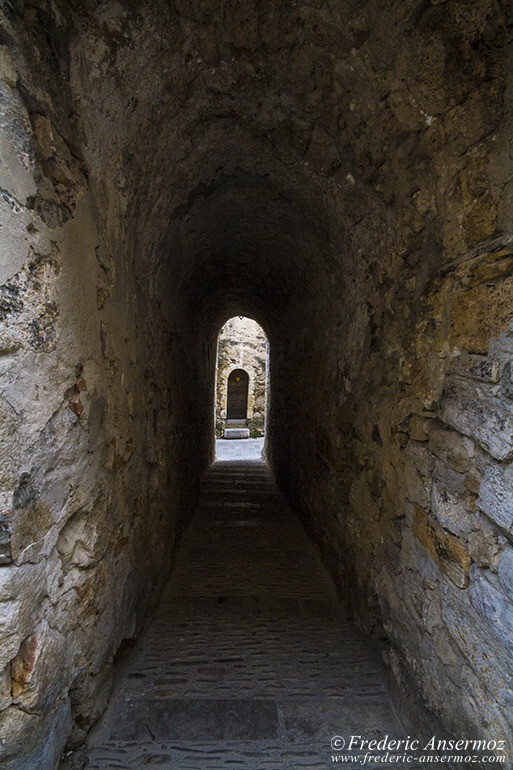 In the eleventh century, the cloister is stripped of his sculptures. 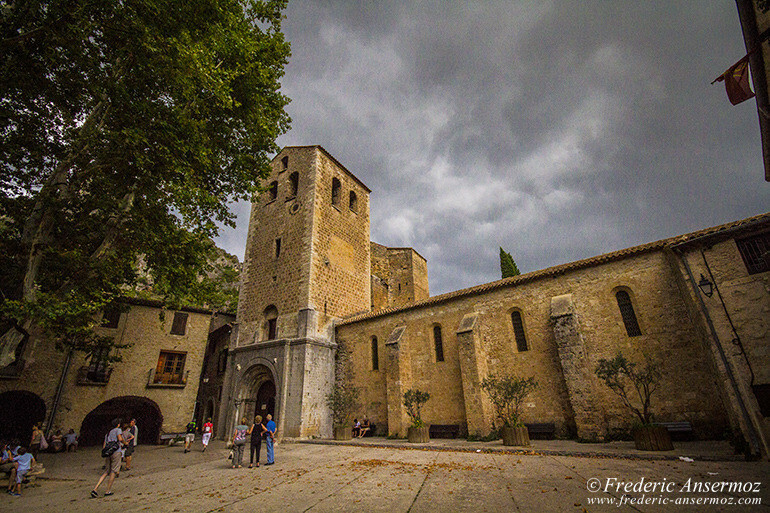 A nice collection of the abbey of Gellone remains, is visible in in New York Cloisters Museum, since 1938. 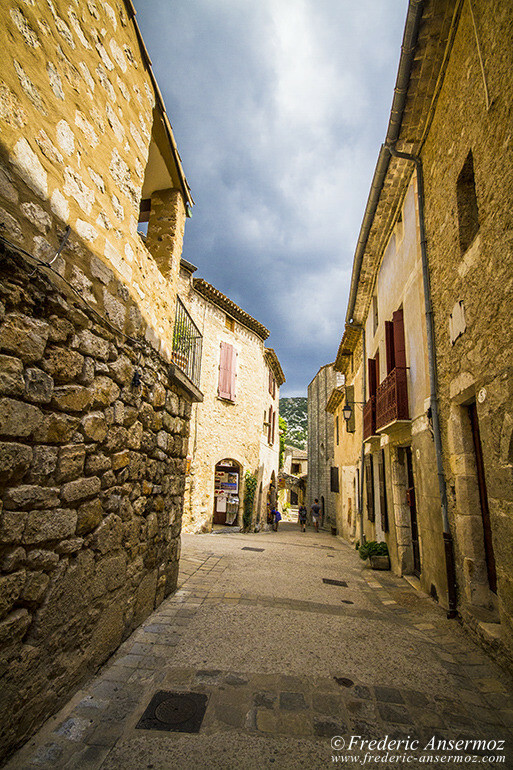 If you are planing to travel or visit St Guilhem le Desert (Hérault, France), you can enjoy numerous hikes around the village. 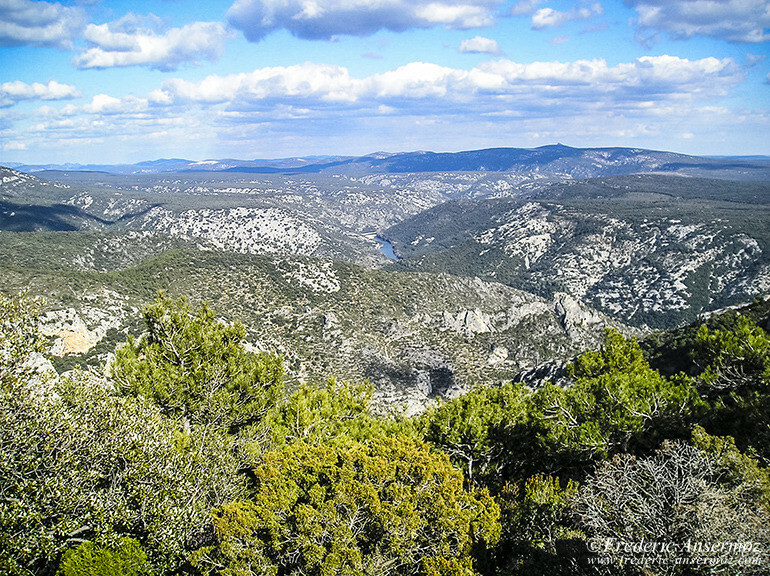 You can explore the Cirque de l’Infernet (with steep cliffs that are home to a rare pine species: the Salzmann pine), or the gorges of the Hérault river and the Devil’s Bridge. 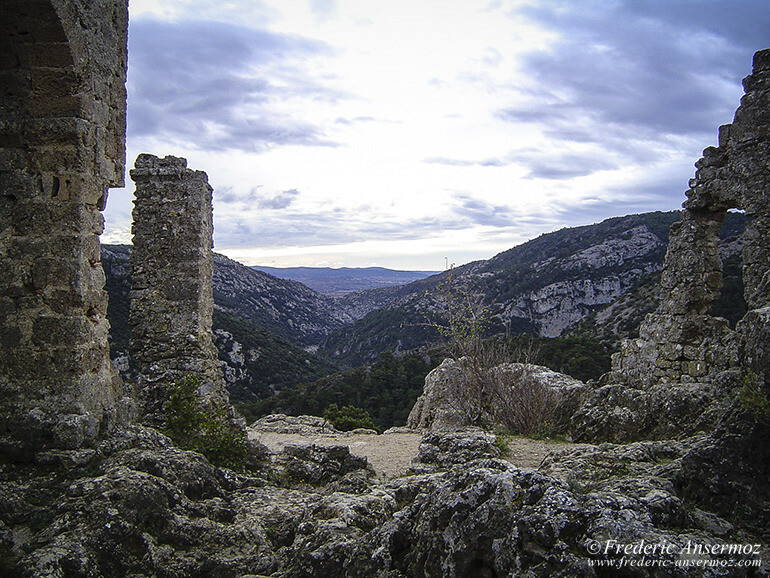 Overlooking the village, are the ruins of the Château du Géant (Castle of the Giant, formerly known as Castle of Verdus or of Verdun), whose access is forbidden since 2001 (corresponding pictures were taken prior that time). 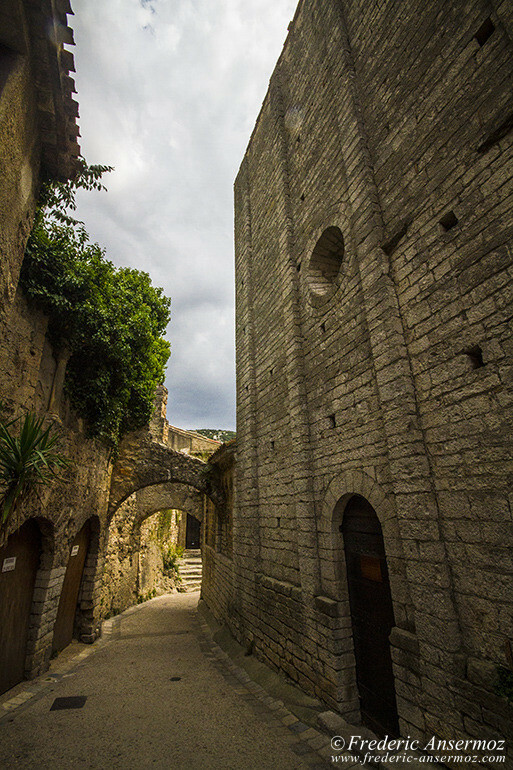 At one time, it housed poachers, who were alerted of the arrival of the police (the pandores) by the inhabitants of St Guilhem. 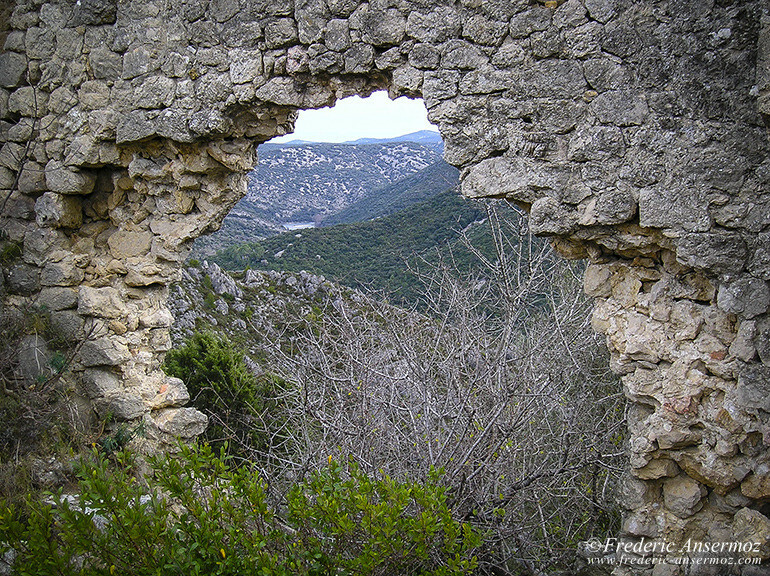 Those ones were running to the castle by jumping over rocks, hence the name of the inhabitants, the Rocks Jumpers (Saute-Rochers)! 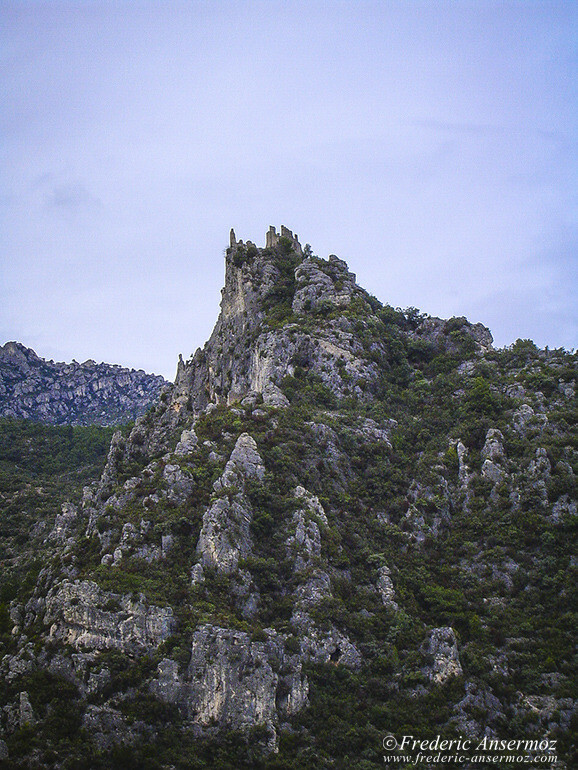 The garrigue has many trails, but also hidden caves or not that hidden, such as Clamouse cave, near the village of St Guilhem. 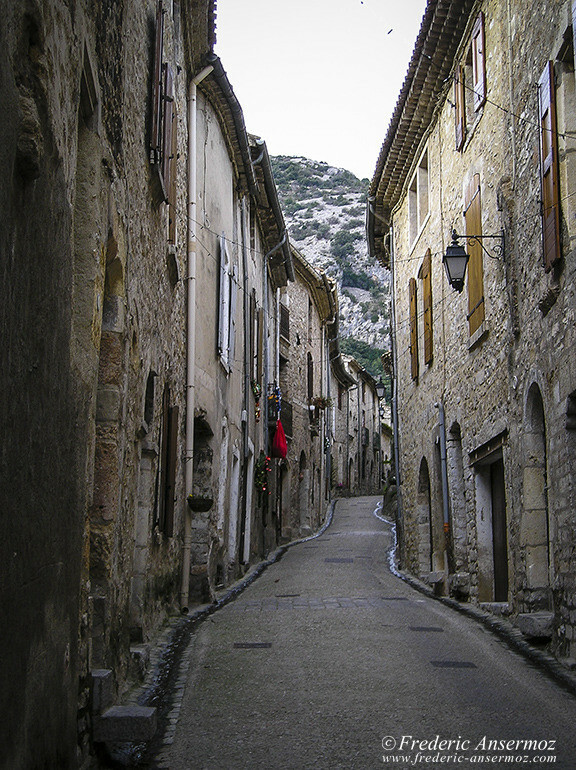 I hope you liked my photos of St Guilhem le Desert in the department of Herault in France, and you also enjoyed to discover its history. 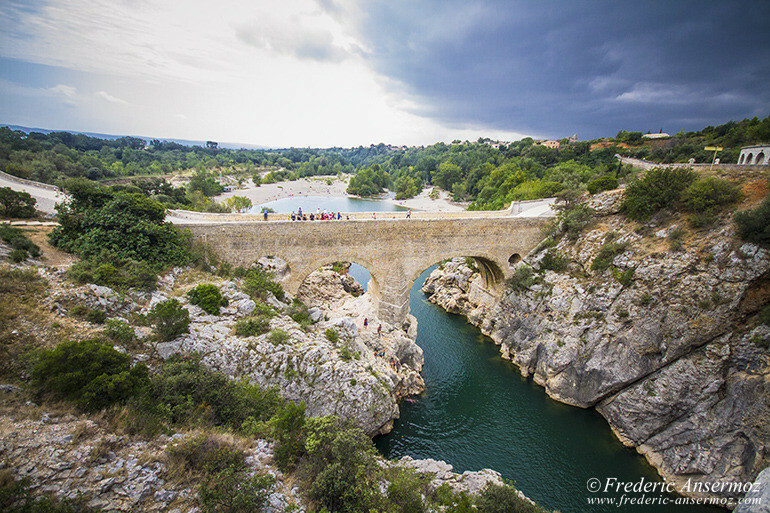 [Where] Tags: France, Herault, South Of France, Travel Photography.